The placement of the remote antennas can mean the difference between a wireless system that performs, and one that doesn't. A correctly placed antenna is one that is in the line sight of the performance area. Remember to keep a minimum of a wavelength between antennas. This will allow the best operating field for your system and the strongest connection to the receivers while eliminating drop outs. 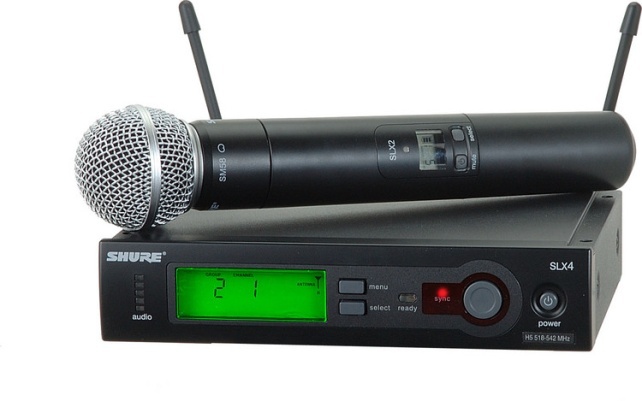 The right gauge and signal strength is critical to the success of a wireless microphone system. For example, Gepco's VS5010 50 ohm cable along with Kings Connectors 755-114-9 guarantees a flawless operating wireless system. Remember, no more than 25ft without adding an RF inline amplifier. The maximum recommended distance for remote antenna placement is 100ft. With white space issues, emerging technologies, spectrum congestion, and increasingly sophisticated digital systems complicating every aspect of the wireless market, TMP Pro offers the security and know-how that ensure system investments are going to operate in the most demanding environments. Whether installing in a church sanctuary, or supplying a major world tour, TMP Pro's custom processes and vast selection of lines from Shure, Sennheiser, Audio-Technica and AKG ensure that you and your client get the right system for the application.